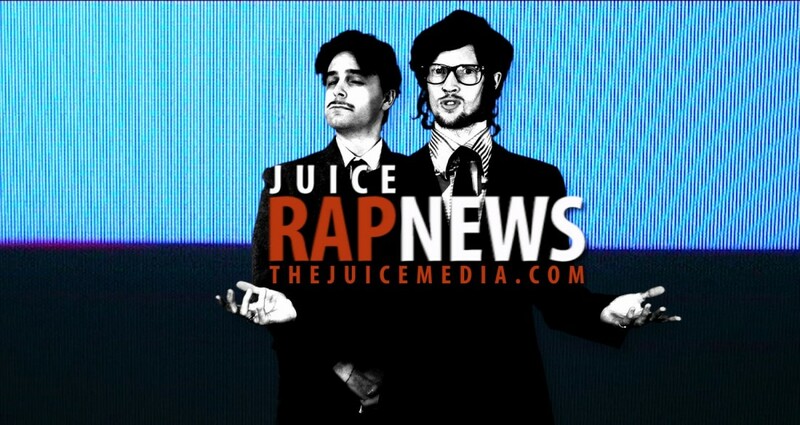 Kindle loves this project because... Juice Rap News is a truly revolutionary project that manages to add humour and rhythm to some of the most controversial and under-covered current events. They do so with in extensive research and an astuteness for looking at angles of stories that the mainstream media often ignores. This project blurs the lines between satire and hard hitting news in the most brilliant of ways, educating us about what we need to be paying close attention to. Hey, everyone, This is Hugo and Giordano from Juice Rap News. If you don’t know the show, it’s a satirical online news show where everything is delivered in rap rhyme, and all the characters are played by a very small cast, with home-made props, makeshift lighting and anarchic costuming. We’ve been broadcasting our bulletins via thejuicemedia youtube channel since 2009, so we’ve been doing this now for about 4 years. During that time, we’re absolutely blessed to have garnered an amazingly diverse and dedicated audience which spans across the world, from north America to Australia, Russia, South Africa and Brazil. Our shows have been translated into more than 20 languages, thanks to volunteer translators who help us out with each episode. 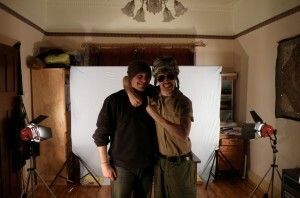 And we have the support an amazing team of helpers who assist us with producing the show. We see the popularity of the show as a reflection of the common will of an increasingly vocal segment of the cyber-population that yearns to change the direction on which humanity is headed; to take control of this ship through the power of information and education. The project was born out of a deep desire to participate in the growing conversation now taking place worldwide thanks to the advent of the internet, and to use it to radicalise our generation towards heightened awareness. This period in which we live offers a unique window of opportunity for humanity as a whole: for the first time we have an alternative channel for bypassing the monopoly on the flow of information that has so helped to shape “reality” for many of us. However, this window won’t stay open for much longer. The internet clearly poses an immediate threat to incumbent power structures. Its native openness and transparency is coming under attack and if we don’t put up a fight we will be left in the dark once again. In the light of this, our aim is to use this medium, the internet – while we still have it; to stimulate constructive, enlightening discourse, whilst also delivering a powerful mix of headnod beats, rhymes and comedy. 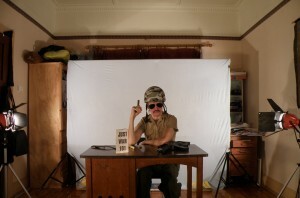 We play dress-up, and there’s plenty of jokes in our take on “the news” and current affairs, but there’s always also a solid undercurrent of philosophy and historic analysis which aims to deconstruct, demystify and generally explain what the hell is going on our planet – from the environment and politics to Indigenous resistance movements. 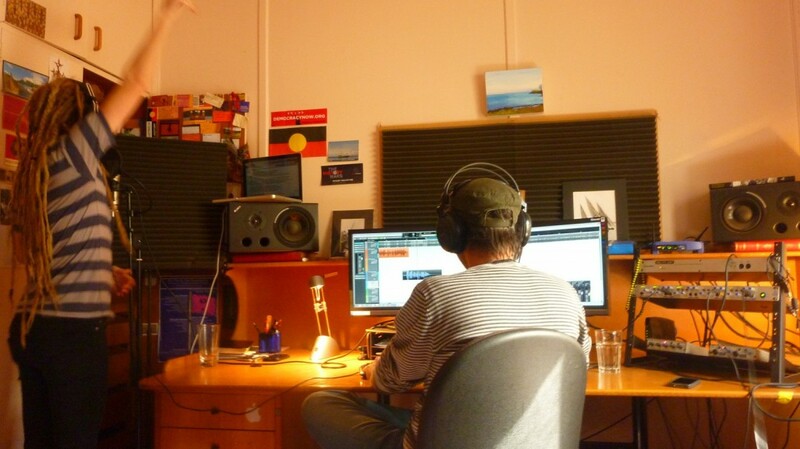 At the same time, we try to ensure that the rap is of the highest quality we can manage within the constrictions of time and content. A typical production schedule will last for a few weeks all up. We’ll start by getting really fired up about some event that’s happening. We might notice that something important is being ignored by the media, or that the conversation around a certain topic or occurrence is missing a certain element that we feel we could contribute. This is the kind of thing that we like to focus our energy on, rather than just commenting on the latest dominant story – although we sometimes do that too. Once we’ve done a heap of research and gathered as much information on the topic as we can manage, we then often like to go for a long walk by a river. It’s a great way to get away from the monitor screen, and clear the head. While we’re walking we brainstorm ideas. How could the episode play out? What characters should be involved, what points should they make and in what order? As mentioned, we have a team of people around the world who help us out, and so once we’ve got an idea of what the episode is going to contain, we have a pretty good idea what we’re going to need, and from whom. Thus begins a round of email alerts shooting across the globe to various mountain-top monasteries, secret underground government prisons and mist-enshrouded kung-fu dojos; one by one nudging out of deep meditation our elite team of music composers, beat-makers, animators, designers, make-up artists and costume sources, who steal away into the night and begin to prepare the awesomeness we have come to enjoy and depend on for the show. 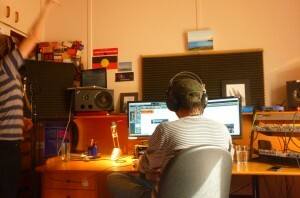 We then go into writing mode. It’s a pretty intense period, normally lasting at least 3-4 days, preferably longer, in which the script is first blocked out, then ‘rhymified’, then edited, then ‘rhymified’ again, and then, continually edited and tweaked to get as best a compromise between comedy, content and rap rhyming that we can concoct. This continues right up until vocal recording, which takes place at Rap News HQ – AKA Giordano’s house – and is quite gruelling: it takes hours to get the nuances and character voices right, as well as trying to preserve as much rapping ‘flow’ as possible. 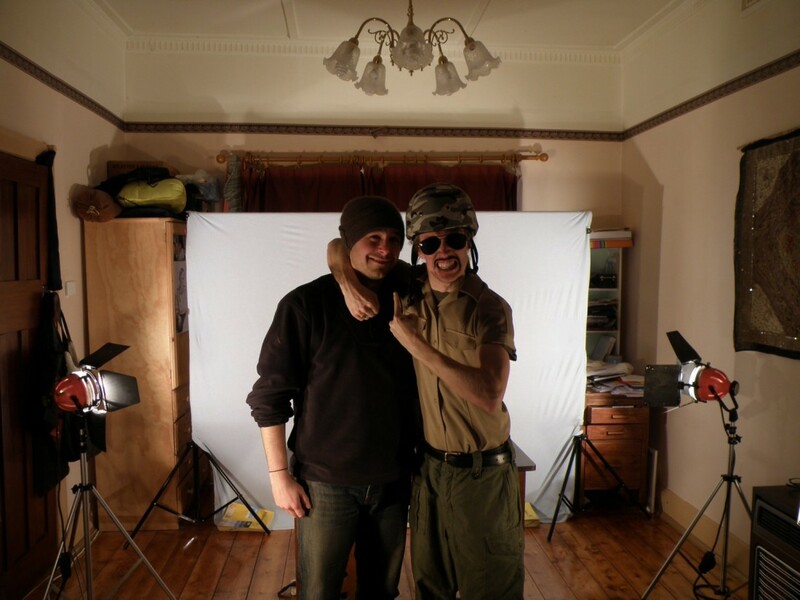 Then it’s time for filming, which, with all the costumes, and make-up, and general horse-play in front of the camera, is often the most fun part of the process. Once we’ve got the all-important takes, it’s time for the editing process. All up, we try to produce the whole video within the space of 7-9 days, in order to get it out while the story is still fresh! Without a doubt, the most exciting part for any YouTube creator’s life is the moment of uploading the finished video. We thoroughly enjoy kicking back with a few beers, reading comments – whether complimentary, or arguing points that we’ve made in the video – checking the response on Facebook and Twitter, and re-watching the episode a number of times together. We never rest for long, however, as the next episode is always just around the corner. It feels great to play a part, however small, in helping to spark conversations and a few laughs about important matters. And we are immensely grateful to the Kindle Project for helping us to keep going, through the support of the Makers Muse award. This support has helped to inspire us to take the show to the next level and we plan to kick off 2014 with a whole new season of regular monthly shows. Stay tuned! Hugo Farrant is Juice Rap News’s lyricist and fills the role of the amiable Juice Rap News anchorman, Robert Foster – as well as many of the guests who appear on the show. Hailing from Branksome in the UK, Hugo is a prolific rhymer and orator, MC and spoken-word poet who regularly graces the stages and festivals of Melbourne. Having spent 8+ years rhyming and rapping, he now co-rhymes/writes Juice Rap News. Giordano Nanni is Juice Rap News’s writer & editor (occasionally, supporting actor), and is responsible for the critiques and philosophies explored by Robert Foster, and many of the other characters on the show. 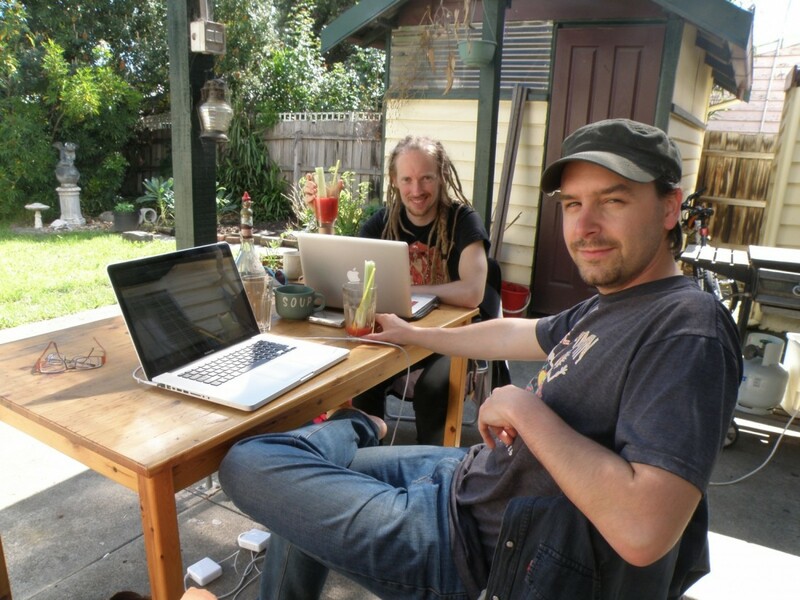 With a background in history, music and media, Giordano is the instigator of a number of projects spanning theatre, print and the internets – including ~TheJuiceMedia, which he established in 2008. 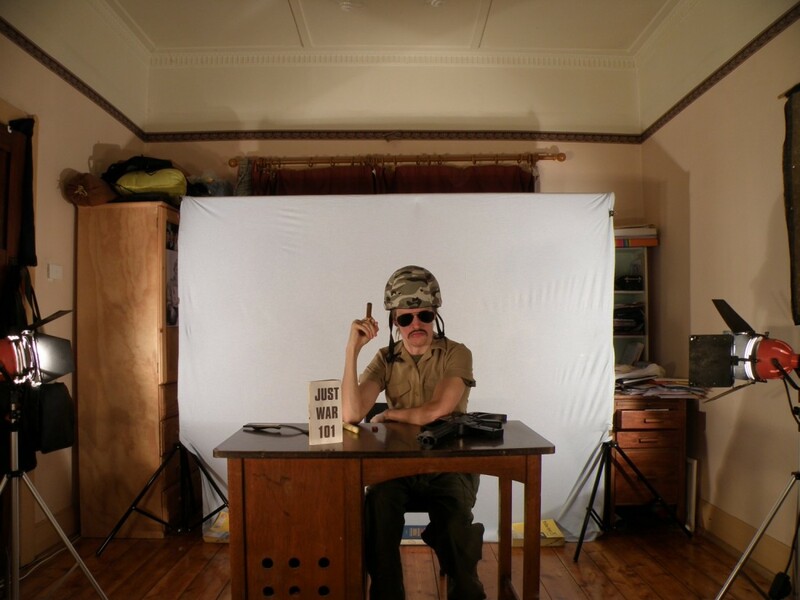 The collaboration of mind and body between Hugo and Giordano is embodied in the character of Robert Foster, Juice Rap News’s affable anchorman, whose retro outfits and biting critiques of current affairs have earned him respect in the whimsical world of news satire. 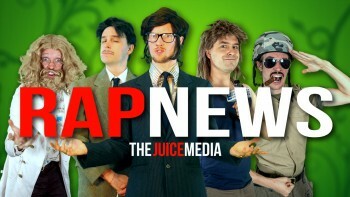 Since their first broadcast in October 2009, Giordano and Hugo’s collaboration has given Juice Rap News its unique flavour, bringing together their passions for rap, history, satire, journalism… and scrambled eggs. Our call to action could probably best be summed up in the show’s slogan, ‘History is Happening’, coined by Giordano Nanni to call for a heightened awareness of the historic moment we are living in, an consequently of the crucial role we can play in shaping humanity’s destiny, and the future.